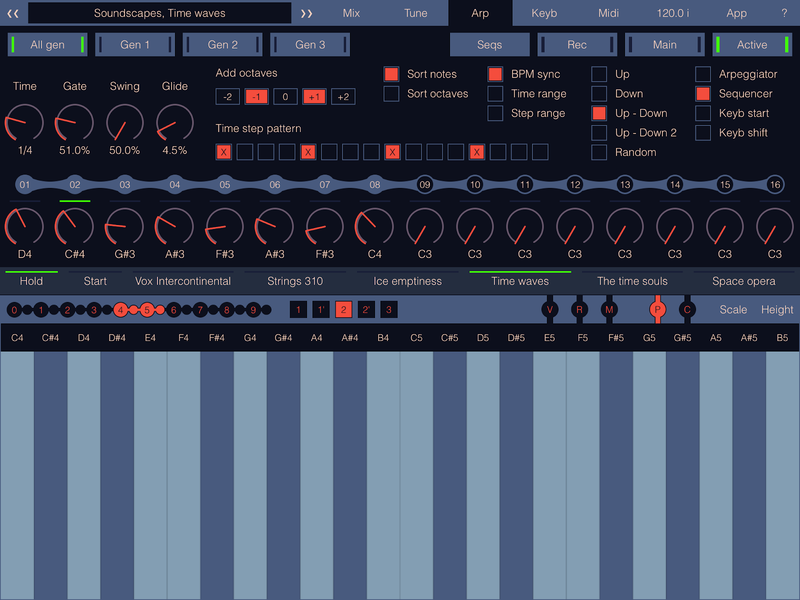 Three sound generators each work as individual synth with its own preset. 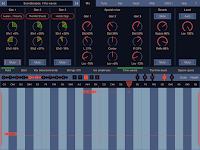 The scene combines all generators and mixer to create complex sounds. Spatial mixer simulates the common sound space for generators. 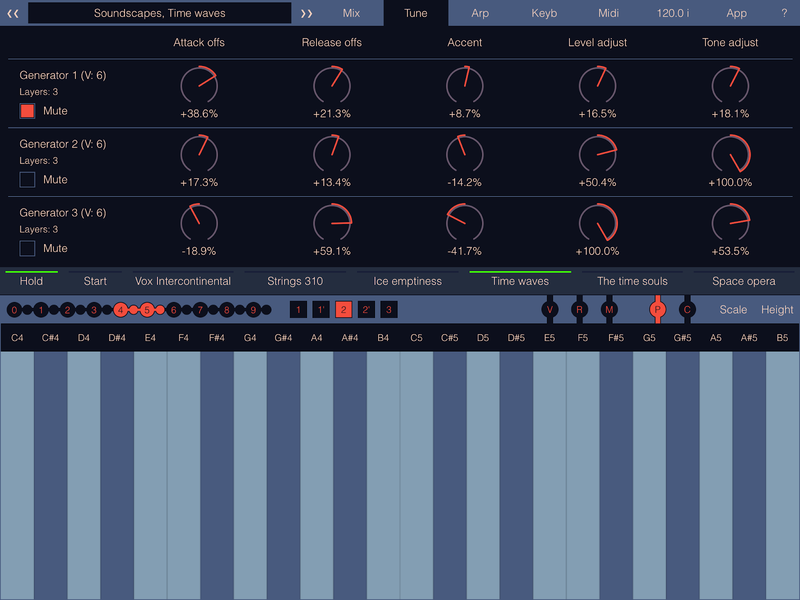 The ability to easily tune the key parameters of sound generators. 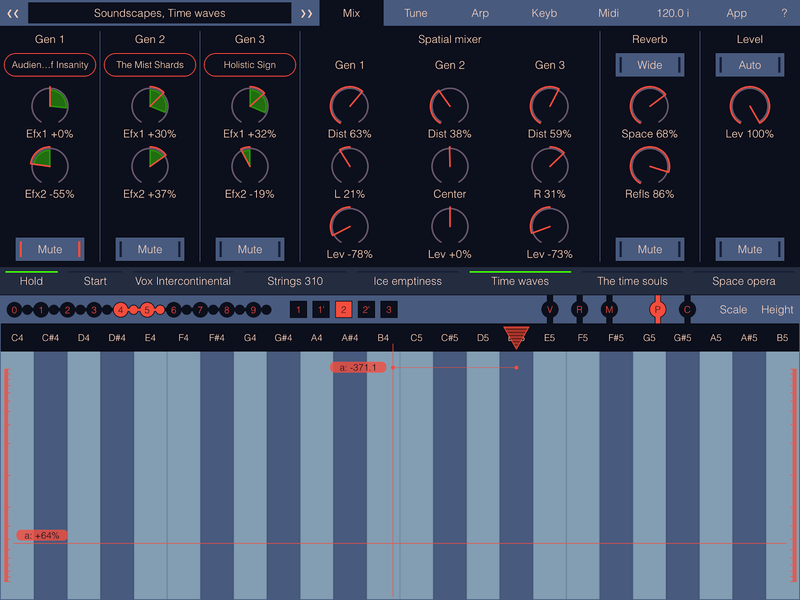 Multifunctional sequencer / arpeggiator for each generator. Screen keyboard designed for continuous variations with sound. Assign MIDI controls to parameters of generators and mixer. 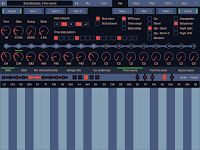 Completely compatible with advanced version of SynthScaper. 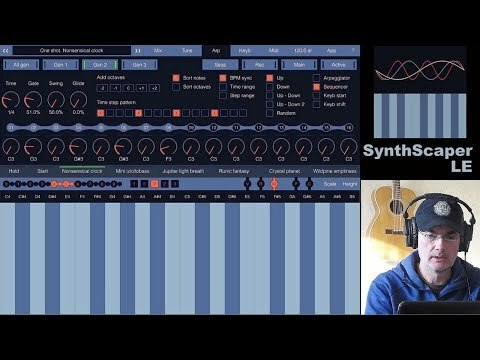 Import scenes with samples from advanced SynthScaper. 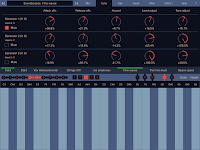 Support Audio unit (AUv3), Inter-app audio, Audiobus and Ableton Link. Auto detect and assign controls of MIDI keyboards (only specific models).